The Gaines Low Leg Queen Generation VIII Comfort Sleeper provides a tasteful, traditional look and the unbeatable comfort of American Leather. 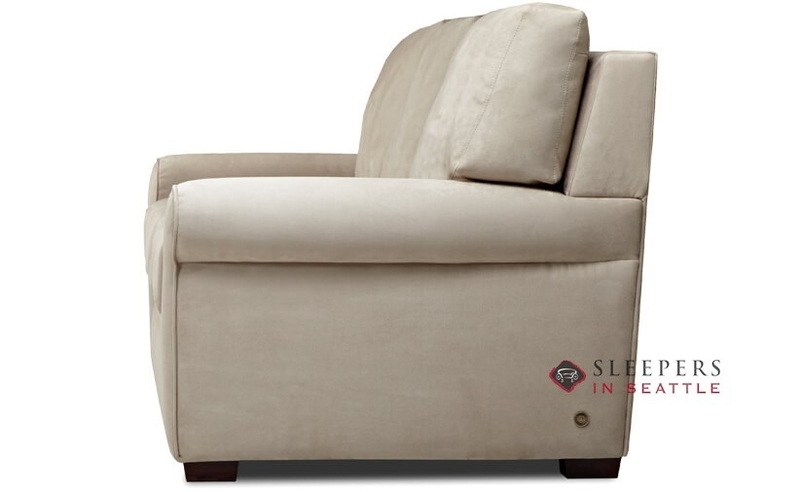 Formerly known as the Gina, the new and improved Gaines features rolled arms, deep cushions for an enhanced seating experience and a top of the line Sleep System sofa bed mechanism. The Gaines is customizable in hundreds of designer fabric upholstery options and three different mattress options. We've owned one of these amazing sleeper beds for over a year. 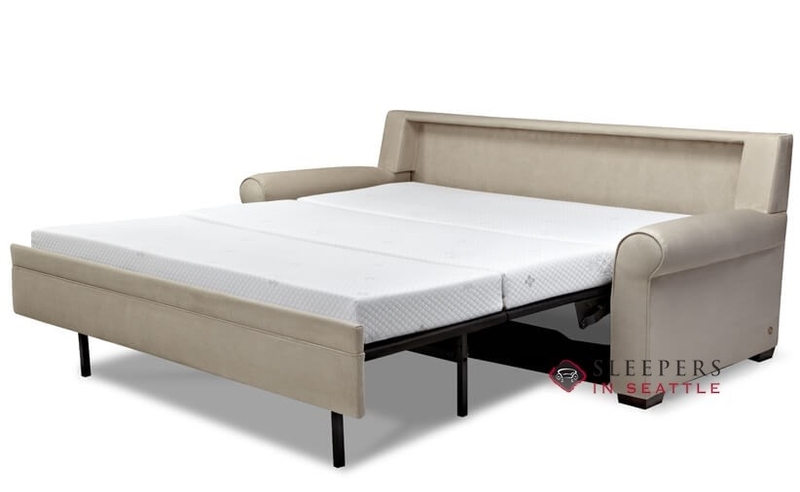 We got the memory foam queen mattress and get super comfy sleeps. We've also had many guests exclaim at how well they slept. I have personally never slept as comfortably on any other sofa sleeper, and I've had the misfortune of sleeping on many. This is like sleeping on a platform bed. There are no bars . When unfolded it forms a nice flat surface. It's very easy to pull out. I highly recommend getting one. The sofa cushions are deep and comfy. And the soft leather is cozy and warm. It's super heavy to move. Glad I new just where to put it, and the delivery guys set up there for me. They were prompt, timely, and cleaned up nicely; leaving me with nothing to do but sit on my brand new sofa. This is probably one of the pricier items on this site, but it's definitely one of the nicest. I've had my Gaines for about a year now and I truly have nothing to whine about. It's an elegant, comfy piece that really added a lot of character to our living room. I think this is a good way to go, or at least it was for me.